Traxia has so many wonderful Resale Partners. Let me introduce you. Life can take some interesting twists and turns, can’t it? Such is the case for Kari Thompson, co-owner with her daughter Catt of Kari’s Treasure Trove in Newman, CA. When Kari became a mom, she immersed herself in homeschooling and volunteering for 13 straight years. But, when the economy took a downturn, she found herself in need of extra income. During a stint as a bus driver with their local school district, Kari realized she wasn’t living the life she had dreamed of. It was time to start planning for the future. 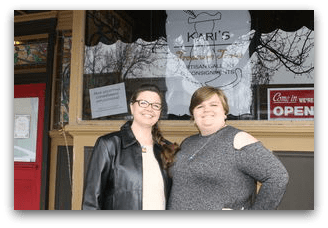 With a few more years of research and a little more dreaming, Kari’s Treasure Trove was born. 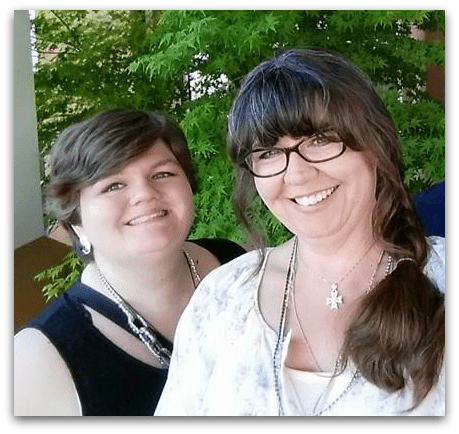 Why did you choose to go into the consignment art business? I empathized with my artist friends and family who struggled to get exposure for their wonderful items. Venues for the Arts are difficult to get into. After researching different business models, the startup cost, risk and liability for a consignment art business was relatively low. With consignment, you control the inventory standards. Artists and secondhand consignors take care of the supply. Your shop has been open for less than a year. What is the biggest lesson you’ve learned? Hold onto your money for as long as possible. We learned that lesson the hard way. A couple of months before we opened, we paid our deposit on our lease, our business insurance, our business license and the California State Attorney General Secondhand Seller’s Certificate fees. Plus, we started our paid subscriptions such as SimpleConsign, ADT, Spotify and newspaper ads. Unbeknownst to us, the building we were leasing would not be issued an occupancy permit, due to recent renovations, for over 2 months! It was a huge drain on our reserves. What do you enjoy most about the resale business? I wanted to tie my business into our community and become an outlet for local artists. Both artists and art lovers thank us for making an artisan gallery locally accessible. 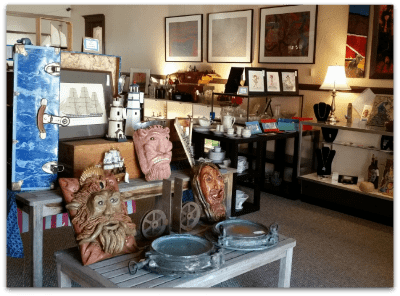 Our artists and secondhand consignors like to hear how their treasures found a new home and our shoppers enjoy learning about the origin of their purchase. What do you like least about the resale business? It can be difficult for a consignor to hear that the amount of money they paid for an item isn’t even a starting point for current value. Some consignors feel offended. It can be very awkward. By contrast, artists are generally the most understanding if their price points aren’t a good fit for our community and usually adjust their prices. It’s all in the numbers. With the help of SimpleConsign, we track as much data as possible. We only add our traffic count and then calculate our conversion rate. The higher that number, the more successful we are. Personally, when people enjoy themselves and linger, I can’t help but feel successful. What’s the square footage of your shop and how do you calculate your prices? Where do you see yourself in 2020? I see myself here, with my daughter Catt, in our shop. I hope to have generations to come work here. Be sure to head to the Facebook Page for Kari’s Treasure Trove and give them a “Like.” Leave them a message that you’re glad to be with them on #TeamTraxia!